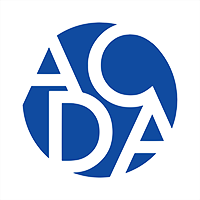 The Anchorage Community Development Authority (ACDA) and Dorsey & Whitney are pleased to announce Anchorage’s first P3 Summit that will provide an in-depth discussion of the tools and methods available to public owners and redevelopment authorities in redeveloping and revitalizing the Anchorage community. The program will be presented by P3 experts, Lynnette Slater Crandall and Diana S. Parks, who are Partners and P3 Co-Chairs of Dorsey & Whitney. 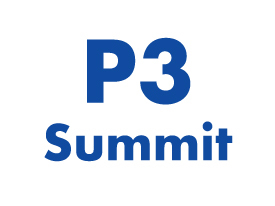 The first P3 Summit, which is expected to attract over 25 attendees from the development, planning and finance industries in the Anchorage area, will serve as a platform to present the importance of P3s and the opportunities to revitalize the Anchorage area. “With a changing economy comes the need to adapt. We view the P3 method as the future of economic development in Anchorage,” said ACDA Executive Director, Andrew Halcro. Dorsey & Whitney serves nearly all industries, but focus on six industries in which we have great depth and a history of achieving client success. Our banking, energy, food and agribusiness, health care, mining and natural resources and public-private partnerships industry groups help coordinate our teams serving these industries across geographies and practice areas, keeping them at the cutting edge of industry needs and trends and sharing collective experience and expertise. Diana Parks is the Co-Chair of Dorsey’s Public-Private Partnerships Industry Group. She has extensive experience advising both private and public clients in all aspects of complex infrastructure procurements and project execution, including strategic and innovative teaming approaches. Lynnette Slater Crandall is the Co-Chair of Dorsey's Public-Private Partnerships practice group, member of the Public Finance and Legislative practice groups, and Chair of the Political Law subgroup, Lynnette’s experience working in the public and private sectors has given her unique insight into spotting the business needs of her clients, and helping to bridge the communication gap that often occurs between corporate and governmental entities.